HomeNumerologyNumerology Special – Karmic Debt Numbers 13, 14, 16 and 19 – The Kind Truth! Here’s an article about karmic debt numbers in numerology, specifically 13, 14, 16 and 19. As a professional psychic in Brisbane, it annoys me when I read articles that are doom-and-gloom. All numbers can be lucky, depending on how you use them, and which numerologist you consult. Here’s the truth. It’s kinder than you might think. We live in a Universe where fate and free will co-exist. Like all psychic reading techniques, numerology can be used to heal or to harm people – it depends on how it’s used. 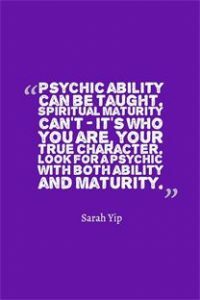 That’s why the first topic I cover in every numerology or palmistry workshop, is the difference between Psychic Ability and Spiritual Maturity. Author Dawn Hill writes about this in her excellent series of books. Spiritual Maturity is how consciously you live your life. Spiritual maturity cannot be taught, it’s your true character and develops through life experience. You increase it by following your values. Someone who is spiritually mature acts from love, outlines pros and cons rather than telling people what to do, and has a conscience. They avoid misusing their abilities (psychic or otherwise) as they understand karma (what goes around, comes around). Some who is spiritually immature acts from fear, tries to control others through black-and-white statements (e.g. you either go to Heaven or Hell/ I am the only one who can save you etc. ), blows up if you try to argue with them, and bends the rules to suit themselves. They may look confident, but under pressure they show their claws, so to speak. 1) High Psychic Ability AND High Spiritual Maturity – this is the ideal reader – they are someone you can trust, who gives helpful, accurate guidance, and who encourages you to think for yourself. Their skills are backed up with experience and they deliver ‘clean’ readings based on intuition, not superstition (see this post for the difference). 2) Low Psychic Ability AND High Spiritual Maturity – they may not be confident with predictions and understanding how intuition works (yet), but could be a fantastic counsellor, guide or coach, especially if both of you are logical types. Many of these people can transition into category 1) with training, experience and support, see my palmistry and numerology workshops in Brisbane, as a starting point. 3) High Psychic Ability AND Low Spiritual Maturity – they wow you with details (like the colour of your lover’s hair), but tell you nothing new. They may over-sympathise with your problems, push you to keep returning for readings, or try to sell you things you don’t need. I am reminded of a psychic I met in California, who said I had to give her $15 000 to heal my mother of a curse – I almost gave her my account details because she was so convincing! Luckily I read her palms instead, and instantly saw she was spinning a tale. 4) Low Psychic Ability AND Low Spiritual Maturity – you can spot these shonks a mile away. They go out of business quickly because people know they have been ripped off. This doesn’t make them bad people – perhaps they just need more training, life experience, or to rethink their career options. Being a full-time psychic isn’t easy! So, what are Karmic Debt Numbers in Numerology? Karmic Debt Numbers highlight where you’ve signed up for advanced learning in a certain area of life. 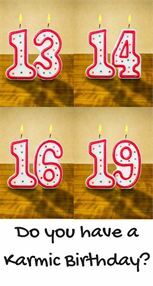 We all have a lifepath in numerology, that’s revealed by our date of birth (DOB). Find your lifepath. This represents our spiritual job description each lifetime. A well-trained numerologist (such as myself) can look at your DOB and name/s to pinpoint your strengths, opportunities, relationship preferences, ideal careers and so on. Karmic Debt Numbers are often written with their reduced sum e.g. 13/4 instead of 13. This signifies the path that will heal the debt (more below). -in your name* (see the Pythagorean alphabet-number system) e.g. Destiny – the sum of all letters, which reveals your mindset/ career, Soul Urge – the sum of vowels, which reveals your heart’s desires or Inner Dream – the sum of consonants – your outer persona. -in your Pinnacles*, Challenges*, Personal Years* etc. *This is more advanced numerology, best covered in a reading.You can live at an address with a karmic debt number e.g. 13 Smith Street. Read more on house and address numerology.I’ve noticed that people with Master 11, 22 and 33 numerology in their lifepaths, names or charts are more likely to carry Karmic Debt Numbers. I’m in this category. Perhaps we choose Master Number frequencies as a way of accelerating our evolution and wiping our slates clean. What’s the best way to deal with a Karmic Debt Number? Firstly – to view it positively. As a Soul, you’ve come to Earth to learn, and you are on a working holiday. Nothing can harm your essence – everything comes to teach you something. Realise that we often relive the challenges of our Karmic Debt before we break free of it.Secondly – research your numerology so you can use it to your advantage. All numbers relate to chakras (see my Find Your Lifepath page). A Karmic Debt Number simply pinpoints where you need to resolve a past life issue or pattern, e.g. The pattern: Using free will (1st or Root Chakra energy) to block your personal power and expression (3rd or Solar Plexus Chakra). The invitation this lifetime: To follow your heart (4th or Heart Chakra) and live a life of joy, balance and self-compassion. Your main lesson is to learn to say No to unreasonable people and demands! What increases the debt: Criticising and blaming yourself or others, breaking promises, taking life too lightly or seriously, being a bully or putting up with bullies, working for money not love, ignoring the needs of your inner child or actual children (e.g. through workaholism), neglecting your passions/ ideas, punishing yourself (e.g. via anorexia, not charging enough for your wisdom, not letting people assist you to overcome depression etc.). What heals the debt: Using words wisely*, focusing on the good in life, finding a kind word to say about others, studying or receiving counselling, listening to your heart (e.g. through meditation, art, music and journalling), learning to embrace criticism (see the Work of Byron Katie), creating a healthy work/ life balance, maintaining a routine, being reliable, caring for your body and taking back your power through action, exercise and speaking up. Learning to do things for yourself e.g. through self-education. *Friday the 13th wasn’t considered an unlucky combination, until Thomas W. Lawson published a book by that name. A unique example of how numerology has influenced popular culture. Example: I have a 76/13/4 birthname, which has influenced my mindset and career for over 34 years. I grew up in a no. 13 house, and was a child prodigy – all I did was study for exams until I was well into my 20’s. As a result, I experienced all the downsides of a 13/4 Karmic Debt (listed above), until I did extensive personal growth work and healing. Now, I’m able to help thousands of people a year to open their hearts to their intuition and signs like11:11 (which adds to 4, and represents seeing others as equals). Read more of my 13/4 experiences in these articles about eating issues and past life regression. Also this post on Friday 13th. The pattern: Using free will (1st or Root Chakra energy) to block the flow of love and stability into your life (4th or Heart Chakra). The invitation this lifetime: To listen to your inner voice (5th or Throat Chakra) and live a life of moderation, flexibility and freedom. Your lesson is to be honest and to blend your head and heart’s desires. What increases the debt: Addictions to drugs, coffee, TV, physical pleasures, alcoholism, escapism, rushing through life rather than smelling the roses, staying in your comfort zone for so long you lose hope, lying to yourself or others, breaking the law. What heals the debt: Channelling your energy into constructive activities that help humanity, breaking addictive patterns, time outdoors, mindfulness practices to discipline your thoughts, saying what you mean, being a peacemaker instead of an extremist. Being patient with yourself and others as you establish new habits. Example: I know people with 14/5 energies, who spend hundreds of dollars a week on cigarettes and alcohol – it’s like they want to live fast and die young. Conversely, I’ve met others who have explored celibacy or tantra, helped addicts recover from heroin, and who devote themselves to ‘finding the middle way’. The pattern: Using free will (1st or Root Chakra energy) to block the flow of higher wisdom and psychic ability (6th or Third Eye Chakra). The invitation this lifetime: To open your and other people’s minds to the possibility of miracles, psychic phenomena, ESP, other dimensions and spiritual healing. Your lesson is to teach trust. What increases the debt: Closing your mind to, or avoiding spirituality, psychics, healers and religion, seeing people as intellectually superior or inferior to you, not sharing your intuitive gifts or ideas, over-intellectualising things, becoming isolated, having an affair (read more), seeing yourself as imperfect or over-focusing on your weight and looks (read more). What heals the debt: Studying metaphysics, getting to know people before you judge them, realising that we are all teachers, joining groups where you can refine your psychic gifts or upgrade your thinking, staying faithful in relationships (read about attracting a soulmate) and making peace with your inner and outer beauty.Drinking fresh water opens your Third Eye, as does taking up creative hobbies, meditation, gardening, and surrounding yourself with children, animals and loved ones. Example: People with 16/7 (and 7 energy in general) ask excellent questions in psychic readings and classes, but rarely believe my answers until they have tested them a few times. I know not to rush them for a decision. They learn very fast or slowly, depending on whether they trust their Higher Self. I often give them notes to take home so they can continue their research. We can only love someone as much as we love ourselves. If you have 16/7 energy, learn to embrace your wobble (that’s what my bellydance teacher used to say) and the rest will fall into place, I promise. Read more about 666 and Third Eye energy in this post. The pattern: Using free will (1st or Root Chakra energy) to block Universal Oneness and Healing (9th or Soul Blueprint Chakra). The invitation this lifetime: To engage other people in worthy causes, without becoming ruthless, jaded or self-centred. Your lesson is to be a role model for humanitarian progress. What increases the debt: Trying to do everything by yourself (imagine how long the pyramids would have taken to build if the Pharaoh did it himself), using your charm/ position/ influence to suppress those around you or conversely, refusing to accept your greatness and shrinking from the spotlight, being a dictator. What heals the debt: Rewriting history by bringing justice to disadvantaged groups, staying humble, giving credit to your Soul and the Universe, associating with other Lightworkers, sharing power with others in a democratic way, seeing yourself as more than just your external accomplishments. Example: Some numerologists believe that a 19/10/1 Karmic Debt suggests a person who will rise in life, only to quickly fall at some point, in order to cultivate empathy and resilience. I have seen this at play in some cases, but not all – most people have ups and downs in life, not just those with Karmic 19 numerology. However, I do associate 19/10/1 energy with public figures (similar to Master 11 numerology). Natalie Cook, the Olympic beach volleyballer, has a 19 birthday (see her reading). Not only does her sport demand extreme teamwork, she created controversy when she suggested a woman carry the Australian flag in the Opening Ceremony (typical of a Master 33 lifepath – they are often advocates). The controversial mystic Osho was also a 19/10/1 lifepath. It is possible to reduce your Karmic Debt by changing your name, however it takes a few years for this to come into effect. Also, it is not a guaranteed ‘fix’. If you need to learn a lesson, you will keep attracting the same situation until you pass the spiritual test. I hope this article gives you hope that having Karmic Debt is not the end of the world. At least one in three of my clients have a Karmic Debt number, yet many of them have extremely fulfilling lives. Life is what you make of it.